The Beach United Football Club Select program is for boys and girls in the U13-U14 age groups. 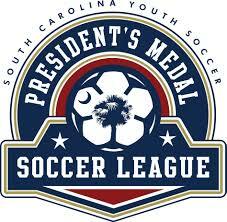 Players make up teams that compete at the highest level in our state to teams that play in the Presidents Medal (PMSL) and the State Challenge leagues. All training sessions will be at the discretion of the coach. Team manager will be contacting you with this information. Spring training and games are adjusted to accommodate players that participate in JV Soccer. All players will need a size 5 soccer ball, cleats, and shin guards. Training jerseys will be provided. Tournament fees are not included in training fees. Additional tournaments may be added at the discretion of the coaching staff. Challenge Training fees $848 (Covers club, training, and referee fees, and SCYS registration and league fees for the fall and spring seasons. PMSL Training fees $823 (Covers club fees, training, referee fess, SCYSA registration and league fees for the Fall and spring seasons.